Our training sessions are tailored to our clients' individual goals and specific needs. Each workout typically lasts less than twenty minutes due to the high intensity nature of the workout. Most clients train once a week but we may also recommend more or less depending our clients' recovery ability, schedule, lifestyle, and training objectives. I hate to spend lots of time in the gym. But I'm also a research fanatic that wanted real results. I discovered the SuperSlow® protocol and must admit, I was skeptical at first. 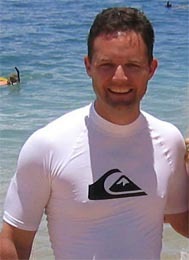 But now I'm in the best shape of my life and the strongest I've ever been thanks to Ideal Exercise! 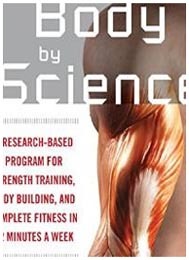 - Jeff C.
We encourage anyone wanting to take a more in depth look into the science behind our training protocol to pick up the book, Body By Science by Dr. Doug McGuff and John Little. We'd like to thank Doug and John for mentioning us in their book.